Did you know that Milton Hershey’s first business was actually the Lancaster Caramel Company? That’s right! He started with caramels before ever dabbling in chocolates! That Milton Hershey really knew what he was doing! So, it looks like this is caramel week here at 365. The only thing is, I wish this post was on April 5, 2011 – National Caramel Day. Let’s just pretend it is. Ok? Between my two dulce de leche posts and now this incredible caramel-espresso ice cream recipe, I am in caramel heaven. The only issue here is that I did not get to try this aforementioned ice cream. I sent in my proxy taste testers and the enthusiasm for this flavor is palpable all the way across the country! When I started writing this blog, I realized it might not be sustainable to make a new frozen treat each day. Yet, inherent in the name 365 is the idea of a daily ice cream post. Furthermore, when I started this blog I knew very little about ice cream making, and wanted to make sure that those near and dear to me with more experience than I, were able to share their love for making ice cream with you, my loyal readers. Excuse me for one second; I may have told a tiny little white lie. As you know, this blog really grew out of my love for all things sweet (especially frozen sweets!) but its inception is closely tied to the news of a majorly discounted ice cream maker. Well, actually, there may have been one itsy bitsy teeny weeny factoid that I left out (intentionally, of course, so that I could save it for this blog post). That is, until tragedy struck: I realized that I needed an ice cream maker, and I was pissed off. I felt totally isolated and stranded. Moreover, I felt like I was being held back from my real dreams of making frozen treats. How could I allow this to happen? I filed the recipe away for a few weeks and searched the internet in hopes of finding a moderately priced ice cream maker. All the while, this recipe was a constant reminder of the things I could accomplish if only I had an ice cream maker. Well, ladies and gentlemen, that day arrived, and it’s been a cake walk (or should I say ice cream walk) ever since! Now it’s only fair for this friend to debut her incredible recipe on this site. 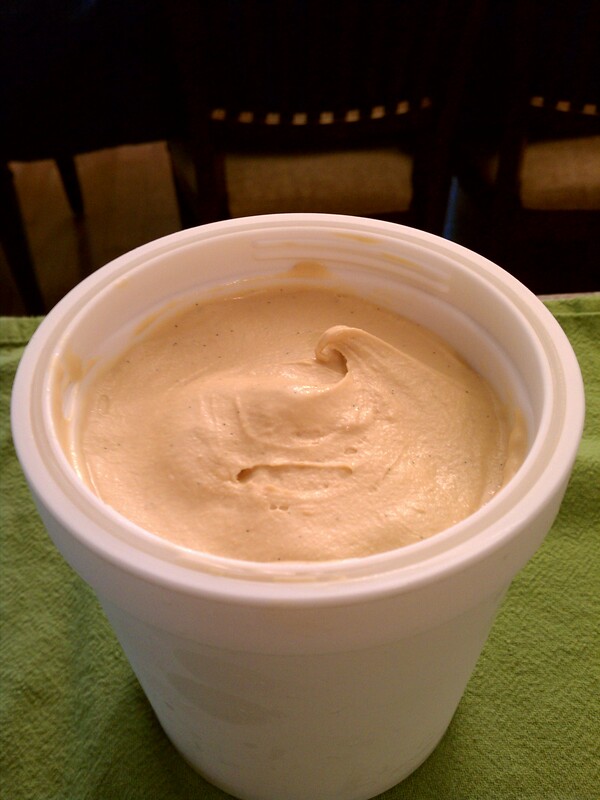 I have been asking her for quite some time to do a guest post on 365 – she needs to show the world what she’s made of: CARAMEL-ESPRESSO ICE CREAM! So, ladies and gentlemen, without further ado, I’d like to introduce you to The St. Louis Friend: chef, baker, and ice cream maker extraordinaire! 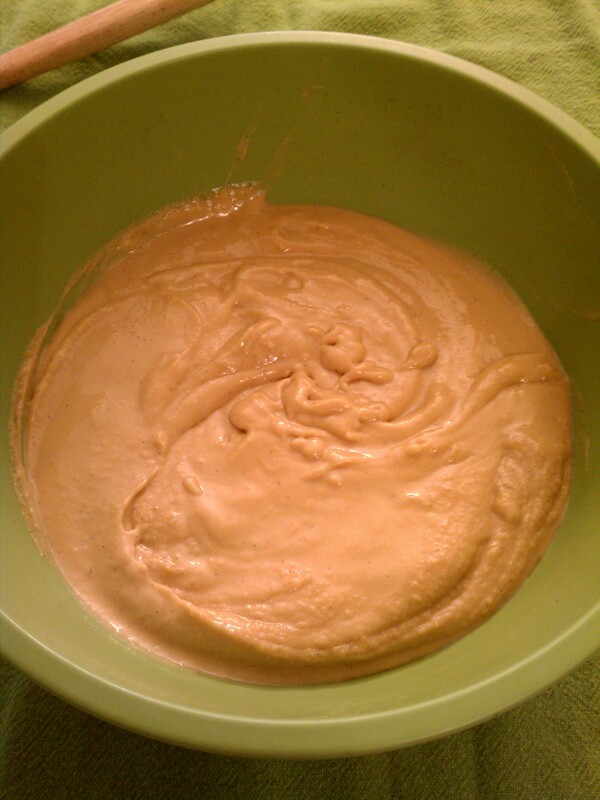 The first time I made this ice cream, I was terrified. Not because of the 6 eggs. . . after a few years of making ice cream, I’d gotten pretty good at handling recipes with a custard base. No, it was the caramel. An avid reader of food magazines and blogs, I’ve heard a number of nightmare caramel stories – mainly of the burning variety, also a few of the ithardenedandstucktoeverything! variety. But it sounded too tasty not to try, so I gave it a go. And aside from not using a large enough saucepan (seriously folks, learn from my mistakes. Use the biggest, tallest one you’ve got!) it was an astounding success! Whenever I make it, I can’t keep certain people (ahem, my husband and certain friends whose identities I’ll keep anonymous!) out of the freezer. Incredibly rich (6 eggs yolks will do that) but not too sweet, and that perfect caramel color – its hard not to drink up the custard before churning it, but it is worth the wait! Also, I’m no longer terrified of making this ice cream. In fact, I can practically do it with my eyes closed. Not recommending that, of course, with the whole bubbling caramel mixture you’ll be making. But I do recommend giving this one a go, you will not be disappointed! Recipe adapted from Bon Appetit magazine, which adapted it from the restaurant One Sixtyblue in Chicago, which is apparently a Michael Jordan restaurant! *Note – vanilla beans are expensive and definitely out of our soon-to-be one income household budget so I reserve them for when the vanilla flavor is paramount. That’s not the case here, so I recommend using 1 tablespoon of vanillabeanpaste. Unlike extract, you still get the vanilla bean specks and at $9-$11 per jar, you’ll stretch that dollar a whole lot further than with beans. If you prefer to use vanilla extract, that’s fine too – just add it in at the end, right before you finish cooling the custard in the fridge. **Bonus! Use the 6 egg whites for a nutritious breakfast the next day. It counteracts the ice cream. 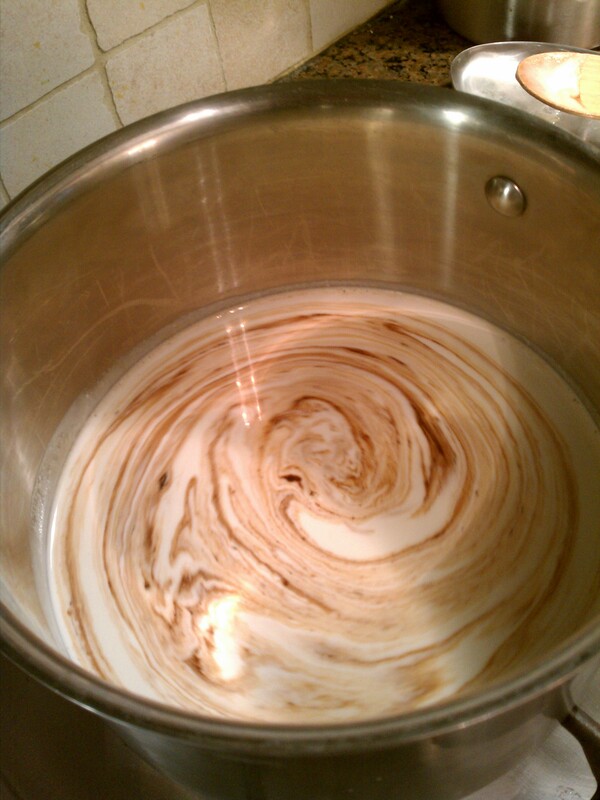 Heat the milk/cream mixture: Place cream, milk, espresso powder, cinnamon stick and pinch of salt in a medium saucepan. Scrape in seeds from vanilla bean; add bean (or add vanilla bean paste). Bring to a simmer; cover and keep warm. 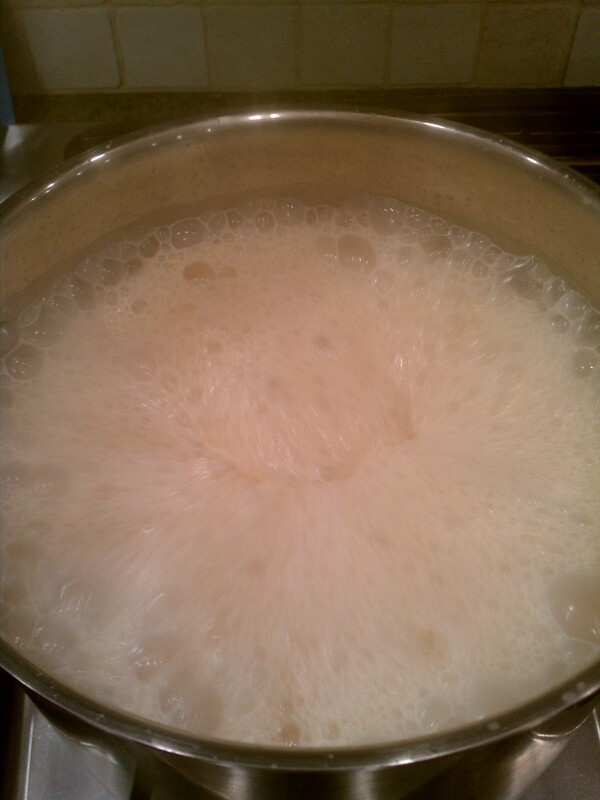 Do not let the milk/cream mixture come to a boil. 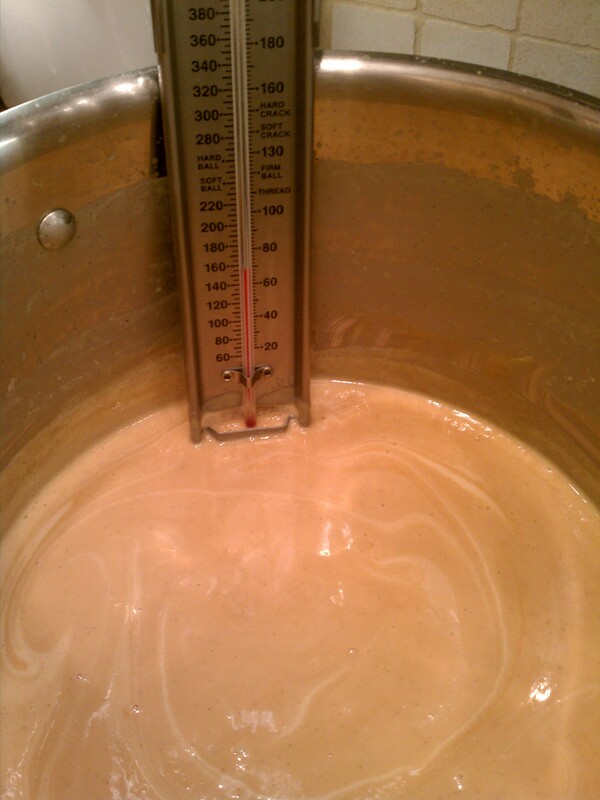 Make the caramel: Stir the sugar and ¼ cup water in a heavy large saucepan over medium heat until sugar dissolves. Increase heat; boil without stirring until syrup turns a dark amber color. Keep a close eye on things, the sugar will be clear for what seems like ages and then go from golden to burnt in a matter of seconds. To help out the process, swirl the pan occasionally and brush down the sides with a wet pastry brush (I like to keep a small bowl of water and pastry brush right near the saucepan). This process takes about 8-10 minutes, or 15 if you’re really slow and careful like I am. If you haven’t already, now is a good time to pull back your hair and put on a pair of oven mitts. When ready, turn the heat down to low, take a step back and add the hot milk mixture. It will foam up, bubble like crazy and possibly scare you a bit if it’s the first time you’ve done this. 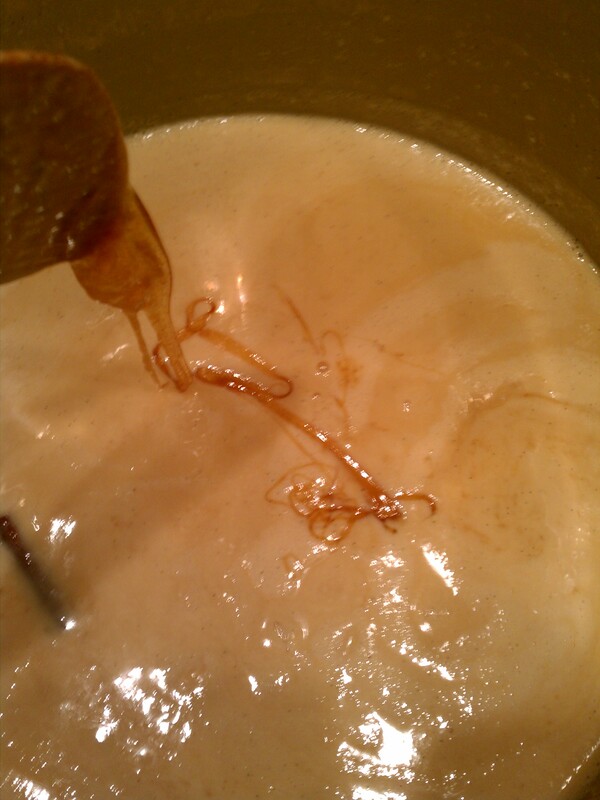 Stir over low heat until any caramel bits dissolve. Often at this point, I find pieces of hardened caramel stuck to the bottom of the pan. Take the time to keep stirring, and eventually it will melt into deliciousness. If you want to be certain, tilt the pan a bit to check for any caramel still stuck. Any hardened bits will be strained out later, but why waste caramel? Also, this is a good time to pull out the cinnamon stick. 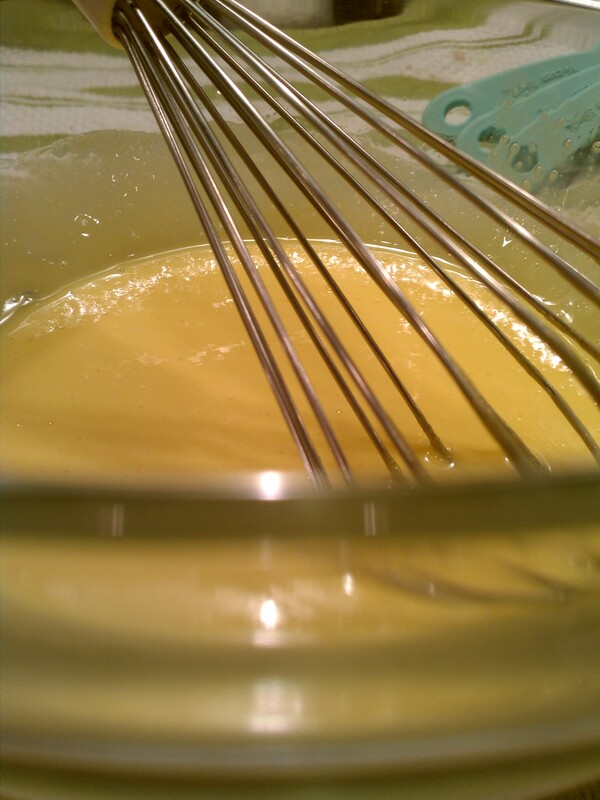 Prep the egg yolks: I usually start the whisking while the sugar is dissolving. I can’t help but multitask. It’s fine though to keep the caramel on low heat and then start in on the eggs. Give those egg yolks a good beating in a large bowl, whisking until they are light yellow and fluffy. Put it all together: Gradually add a bit of the warm caramel into the eggs, then add a bit more, stirring the whole way until all the caramel is incorporated (fancy term for this is tempering. Do it nice and slowly, or your eggs will throw a temper tantrum, as in, end up scrambled). Be patient: This is the hardest part! Pour the caramel custard into a clean medium bowl through a fine mesh strainer. Let cool to room temperature, place a piece of plastic wrap directly onto the custard (this keeps a skin from forming), cover and place in the refrigerator. I recommend keeping it there overnight but 4-8 hours should do. The next day, give it a stir and process the custard according to your ice cream maker’s instructions. After tasting, transfer to a freezer-safe container (Ilikethese) until firm. This ice cream is best eaten within a few days, but that’s not usually a problem. OMG!!!! Thank you for the photos and tips. I just searched “caramel espresso” and found your post. Making this for Thanksgiving. Kim, I’m so glad that you like this recipe and the blog. Keep reading for more fall ice cream treats. Also, another great blog is http://www.onesweetsummer.wordpress.com – she is the creator of this flavor and more wonderful treats. Enjoy!